Listener favorite Peace is one of thirteen originals recorded at George Lucas Skywalker Sound. Cello and angelic vocals appear on this first of six albums with producer Will Ackerman, Grammy winning Founder of Windham Hill Records. The themes and music for The Voice began in the fall of 2004. 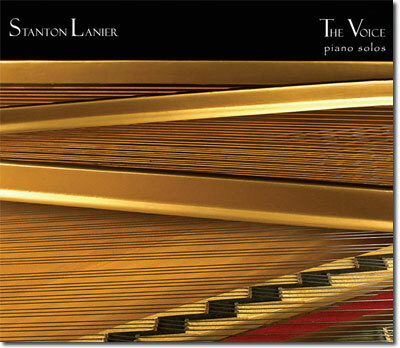 The piano is “the voice” that sings my melodies and ancient scriptures are “the voice” that God uses to inspire them. The solo piano recording was done at George Lucas Skywalker Sound Studios and I was blessed to work with producer Will Ackerman, Grammy Award winning Founder of Windham Hill Records. All of the piano pieces were mixed at his Imaginary Road Studios, where we also recorded the angelic vocals of Noah Wilding and the beautiful work of Grammy-winning cellist Eugene Friesen. My hope is that The Voice will speak very personally to your heart and bring peace to your soul.